Beck from the upcoming Mighty No 9 Fan Art! 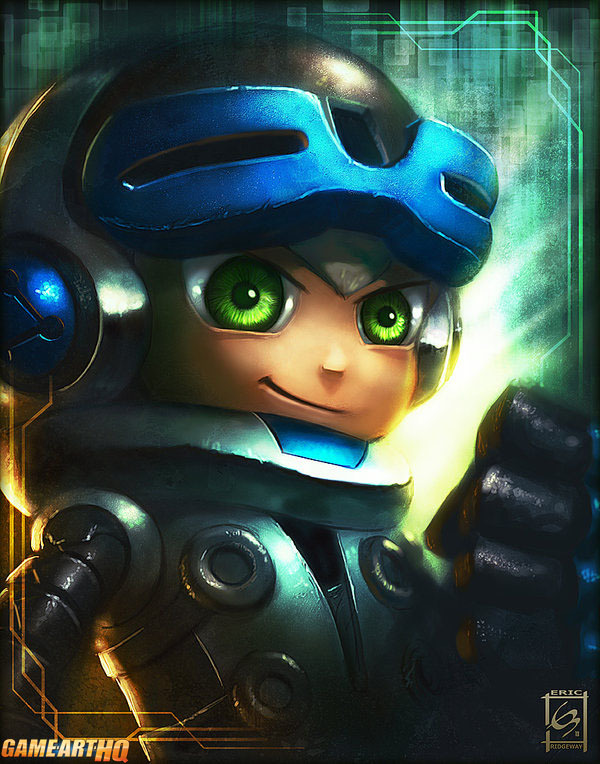 Beck is the main protagonist from the just announced Might No.9 by Keiji Inafune, the original creator of the MegaMan games with all the elements which made the series so great! The designs, the characters and the gameplay are going to make Mighty No.9 THE MegaMan we wanted to see from Capcom since years but instead saw cancellations of MegaMan Legends 3 and other MM games in development. Mighty No.9 is a game supported and funded by thousands of gamers like you and me (i funded it with $20 at kickstarter) and reached the main goal of $900000 in only a bit more than 24 hours. While Beck and Mighty No.9 is only known since a bit more than a day, it was time enough for artists like the Game Art HQ Art Project Contributor Eric Ridgeway to draw him already! Like myself he also funded the game. But unlike me..he can draw!